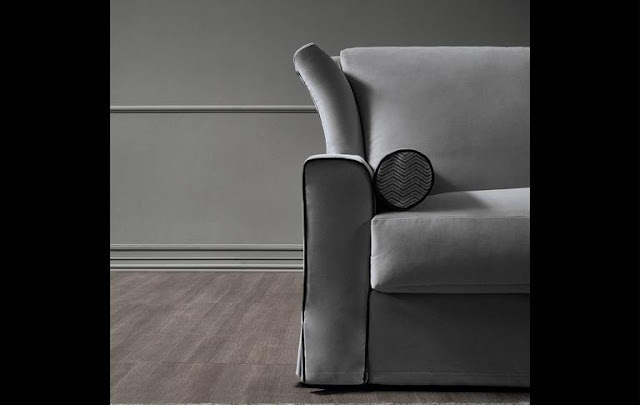 Our collection of beautiful high end Italian furniture consists mostly of minimalistic modern products, the Italian quality with sleek clean lines, but we like to propose few selected products which follow a more contemporary approach. Sometimes its necessary! 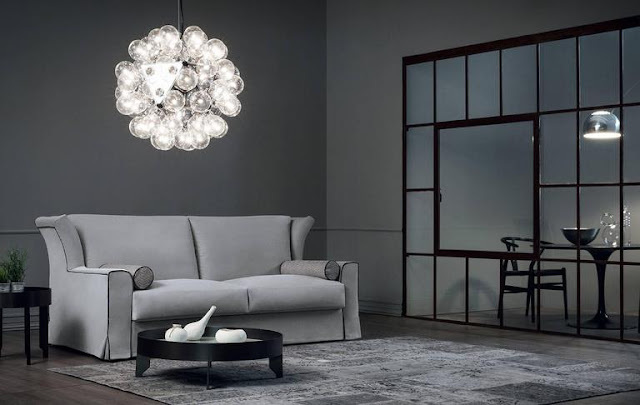 Like our collection of modern Italian sofa beds furniture, which currently includes some of the most lovely and durable and easy to use sofa beds made in Italy. They are all so nicely designed and very modern so it is not a bad idea to add up some good contemporary design, like this amazing and comfortable sofa bed. A contemporary sofa bed with an unusual design but which holds all of the characteristics of our modern sofa beds: it comes in very modern different fabrics textures and colors, it opens just like our other sofa beds with a quick touch move, and is very comfortable thanks to its high winged back, generous armrests and round side pillows with softer seat and back cushions. You can open the sofa into bed without taking off any cushions. If you want to open the sofa and convert into sofa bed it is possible to do it with a simple movement, by pulling the back forward. The seat and back cushions stay put to the structure and the sofa reveals a comfortable queen-size mattress. 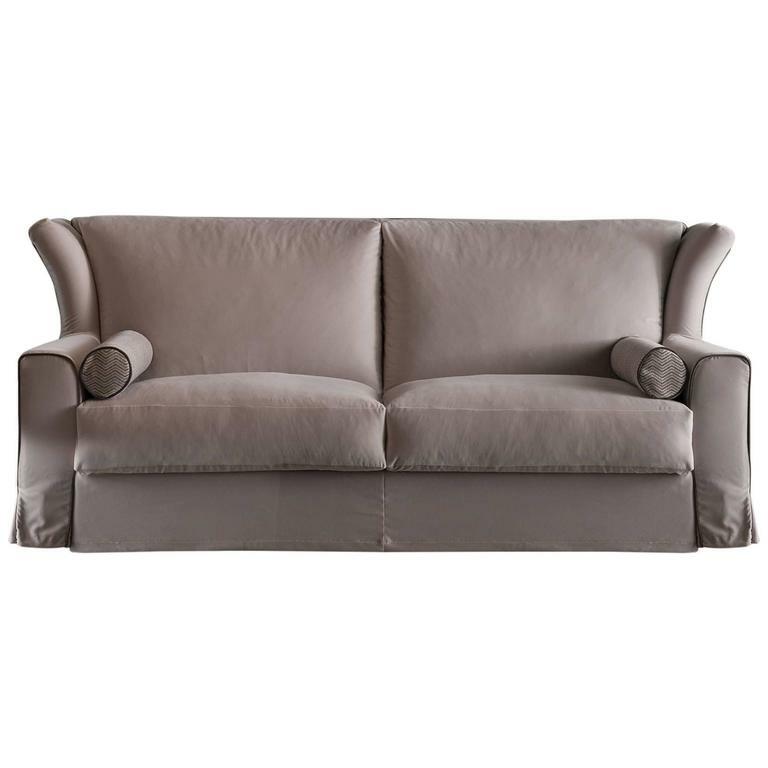 With this contemporary Italian sofa bed you never sleep on the seat cushions, both seat and back stay protected and keep their shapes. The cushions are made of polyurethane foam and feathers for a more softer feel. This sofa bed mattress is made of pocketed large springs but with a small upgrade you can also have a polyurethane foam mattress. The sofa bed slat system is made by wood slats. 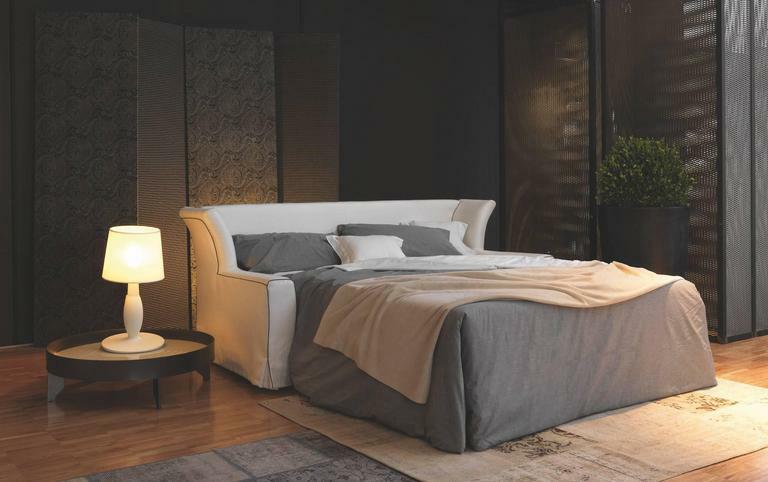 This lovely sofa bed features Italian quality and Italian design. It is made in Northern Italy and imported from Italy. It can be taken in fabrics, in multiple modern textures and modern colors as well as in leather in many different colors. Price is quoted in Fabric. The sofa bed mattress is European queen-size 63" x 79". Measures: Size: 89" width, 40" depth, 37" height, 18" seat height. Depth when opened 86" inches. Mattress size 63" x 79" This sofa bed is custom-made to order - made in Northern Italy. Lead time Italy - East Coast 12/13 weeks, Italy-West Coast 14/16 weeks. Price includes shipping duties and taxes up to our warehouse in NJ. Local delivery is extra cost. For shipping to other countries please contact us directly. It seems to be a very useful product to me. Wooden dining chair is one of the favourite to use it my kitchen area. A custom organization solution for your walk-in closet amplifies usable space, taking advantage of every square foot while showcasing personal style. A reach-in custom closet system allows you to increase the use of a small space and make adjustments based on evolving needs.